An essential for the midnight cowgirl. 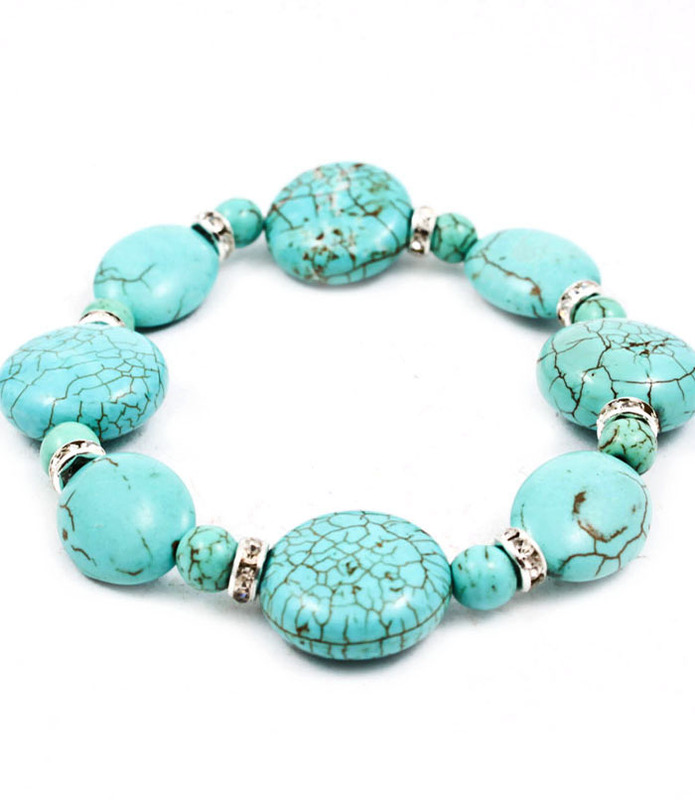 The Nicole brings two contrasting elements of natural turquoise stone and disco crystal beads together in a harmonious manifestation for your wrist. Wear it with a fishtail braid and your stilettos on. Shopping for online jewellery has never been so simple and fun. We hope you enjoy browsing our extensive ranges.